HI Lagos - Pousada de Juventude, Lagos, Portugalia : Rezerwuj teraz! 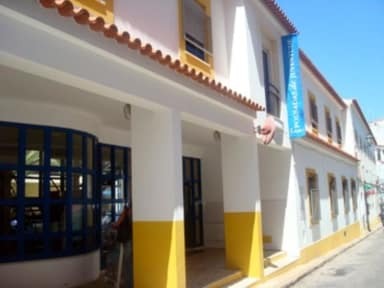 HI Lagos - Pousada de Juventude with breakfast and Wi-Fi included is located within the city center, so you are near the shops and all the facilities you could need for a wonderful holiday also at 5 minutes only from the closest beach where you can sart seeing the cliffs and beautifull rock formation. The most famous attraction about this city. The bars and some of the nightlife are also just down the road. Explore the old town walls, museum and the slave market part from the Portuguese navigation History. Only at 40km from Cabo São Vicente in Sagres (1h by bus) the southwestern most tip of Europe. And at the same distance from the beautifull village of Monchique ( around 1h by bus ) the highest point in the Algarve. What are you waiting to book in and get into this amazing adventure!? A Hostelling International Member card is required (2euros per night to a maximum of 6 nights) Portuguese can buy it directly at any hostel. Foreigners should buy it in their home countries otherwise a supplement of 2euros per night/per person will be charged to non-members. 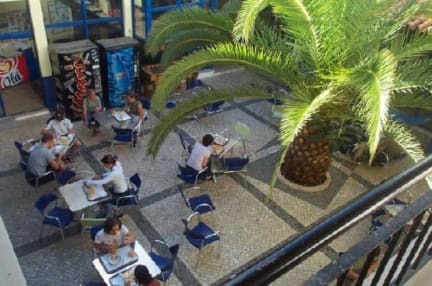 The Hostel is open 24h a day. Good location, very comfortable beds, great price. Kitchen not very well equipped. Very late check-in (5pm).